← Is Luke Warm Ok? Paleo Cookbook and Websites I Love! I have been totally “wowed” recently with some new cookbooks I ordered off amazon.com. People often ask me where I get ideas of what to fix my family? Well, honestly – other people who have gone before me give me ideas and I expound on or revise those. I’ve had to teach myself to cook – and to find tricks that work for my own family. Ironically, or maybe… not ironically… many of these people have similar-ish health stories to me, and our family. It’s nice to realize there is a HUGE world out there with people who are like-minded in regards to how things like food can contribute to slowly bringing us disease, or health! Praising God for the internet and information! So far, I am in love with my Elana’s Pantry book, and my Against All Grain cookbook. 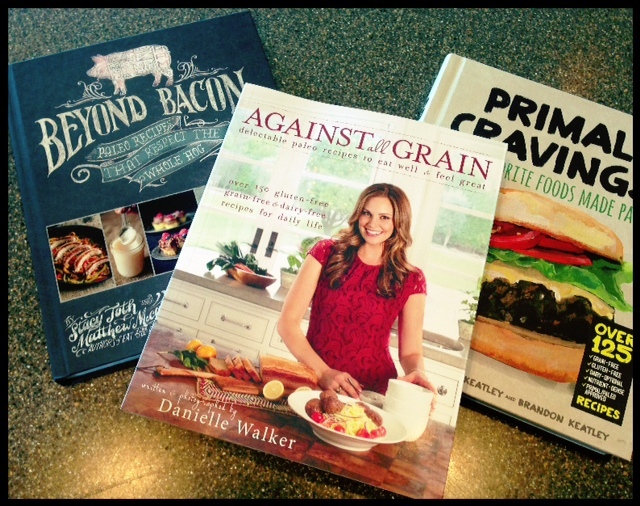 I also am really enjoying the Primal Cravings cookbook – and as soon as I get some pastured pork – the Beyond Bacon will be to put use as well. It’s VERY educational. For those of you who prefer to look at REAL cookbooks, Against All Grain is awesome. Beautiful pictures for EACH dish – which I love. Easy to read and follow… and the results? They’ve been nothing short of spectacular because she has a little bit different ways of doing things. One of the difficult things to overcome when going Paleo is the density of some baked goods… However, this puts all of those complaints out the front door! 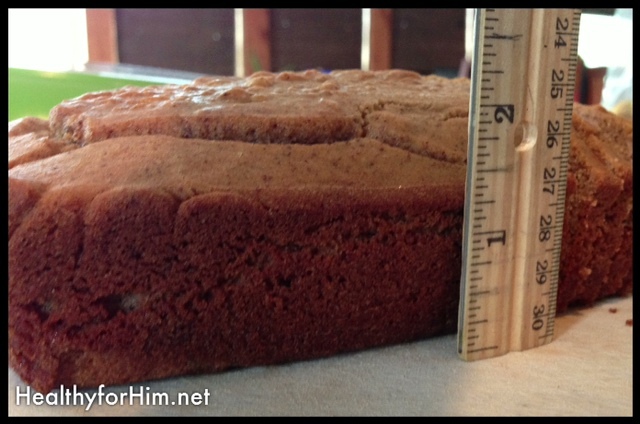 The baked goods are lighter and more “gluten-like” …except NUTRITIOUS, and SO flavorful. Thank you SOOOO much “Against The Grain”!!! Elana from Elana’s Pantry was interviewed in my Paleo magazine this month and she even said not to get her cookbook before trying lots of her FREE recipes online first… to see if she was a good fit for you. (Love her baking, you won’t be disappointed!!) I thought that was admirable. Most of these authors have blogs, and FREE ideas online also – which is SO helpful if you’re like me and utilize both forms for baking/cooking. Balanced Bites (author of Practical Paleo) GREAT podcasts available here too – check those out for sure! 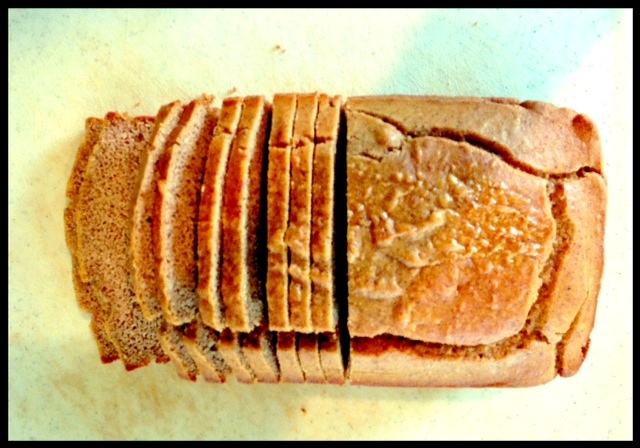 Delicious “World Famous Paleo Bread” from “Against All Grain” cookbook. It smelled delish! “Therefore, brothers and sisters, we have an obligation—but it is not to the flesh, to live according to it. Posted on August 6, 2013, in Auto Immune Disease, Celiac/Gluten Sensitivity, Cook Books, Food To Try and tagged Against All Grain, auto immune disease, Beyond Bacon, celiac disease, gluten intolerance, Grassfed girl, health bent, healthy for him, MS, nourished, Paleo OMG, paleo parents, Primal Cravings, the domestic man, The spunky coconut. Bookmark the permalink. 2 Comments. Thanks so much for all the great links in one place! Perfect for trying and figuring out what works best for our family before purchasing. Love it!